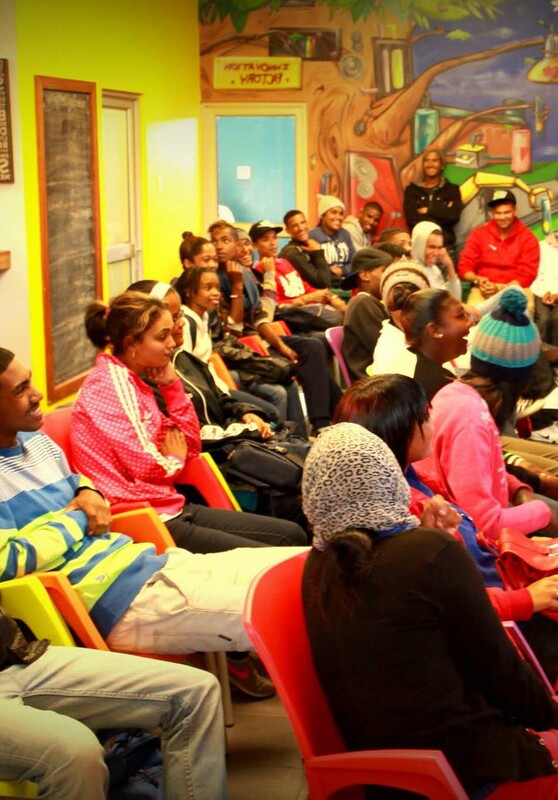 The Training and Development Sector of RLabs is where the heart and passion of most staff reside. 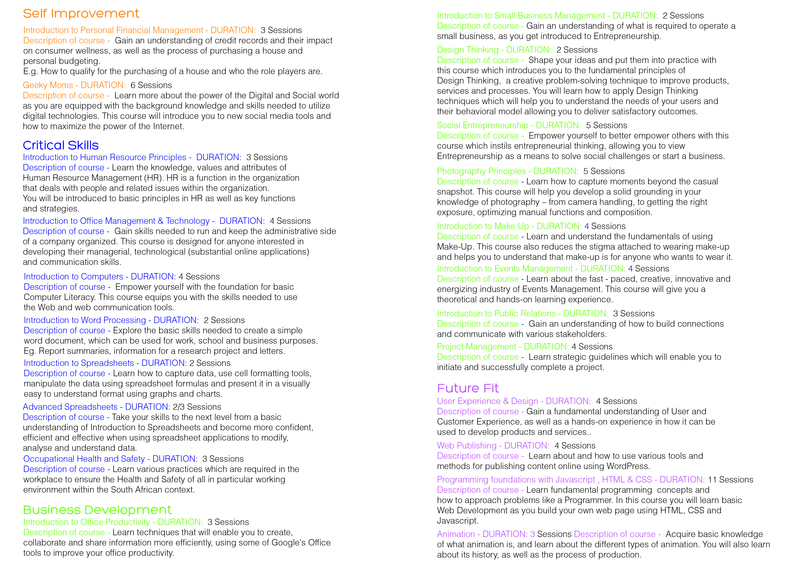 Specialised training programs are made available at RLabs for community members at no cost. 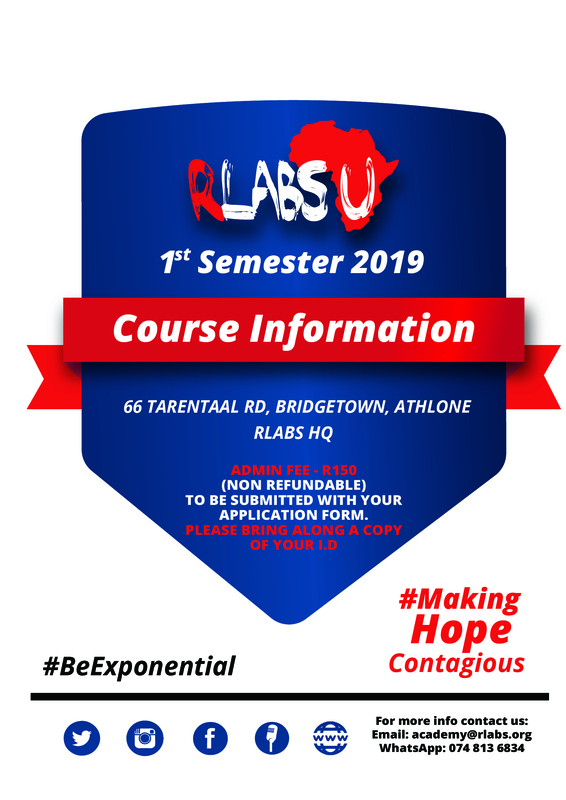 RLabs is an organisation that believes in others and their passions and through this passion has created specific s for members of the public who have a special interest in starting up their own business or improve on skill that come along with running a business. 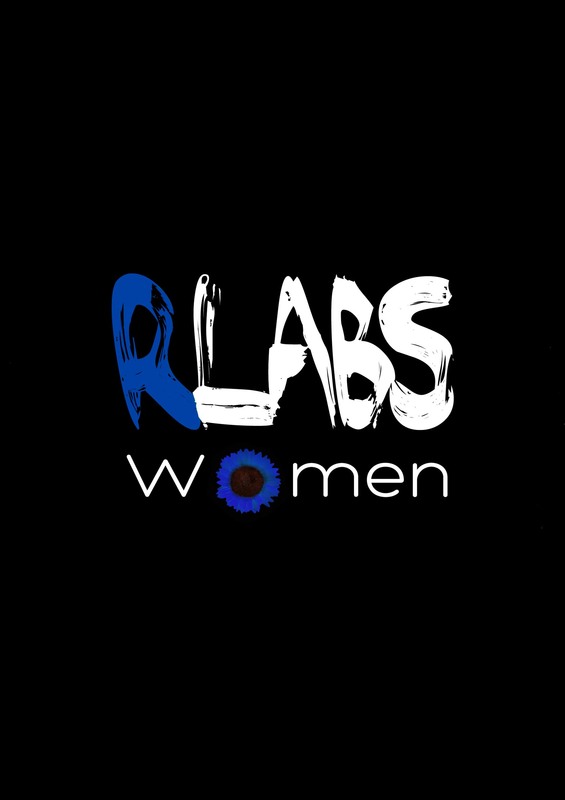 RLabs Women offers training programmes to community women, women groups and organisations. The main goal is to develop economic opportunities to women, especially those in marginalized communities. 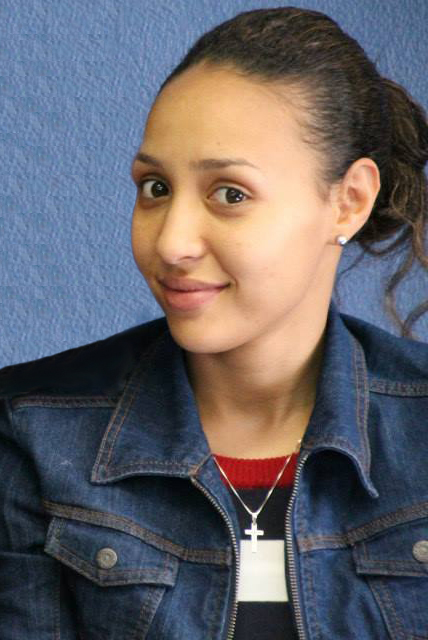 RLabs Youth provides young people with a range of skills programmes that makes them more accessible for the marketplace. It also offers young people with the opportunity to start their own businesses or start-ups through the youth business programmes. The programme also offers leadership, digital skills, entrepreneurship, design, mentorship and coaching to high school learners and out of school youth. Works with industry to provide appropriate job placements and career opportunities for graduates from the training and development programmes. This Course Lab develop and implement specialized content and curriculum with partners that is leveraged through our programmes but also packaged for our community academies. Creating a safer space for our children, a more inclusive society or increasing access to quality education, are things many of us wish we could achieve but just don’t know where to start. With drugs and gangsterism plaguing many communities on the Cape Flats, resident Marlon Parker decided to take on the challenge. 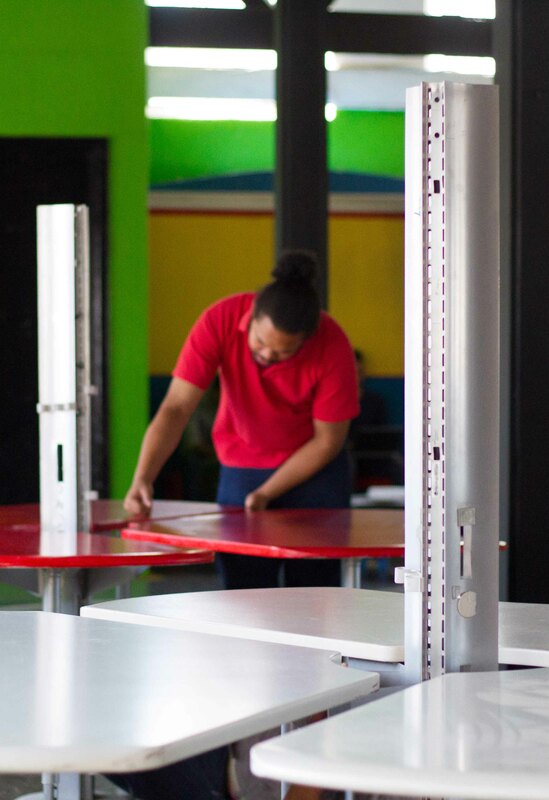 He founded the Reconstructed Living Lab (RLabs): A social movement ‘born-and-bred’ in Bridgetown, Cape Town which is now active in 22 countries. 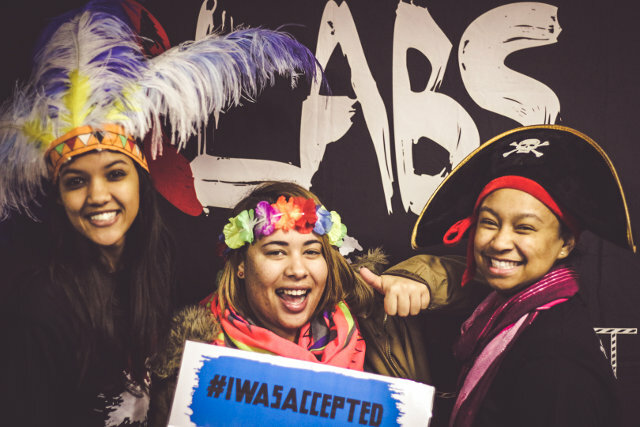 RLabs empowers youth through innovative and disruptive technology by teaching them vital skills and providing much needed support and a sense of community. 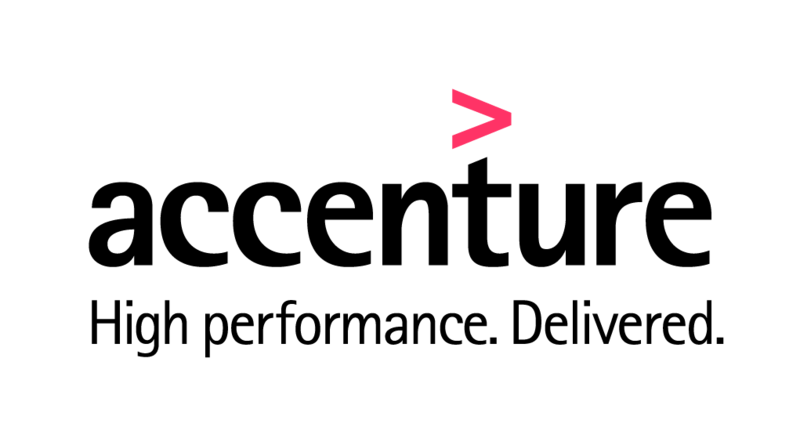 Advocating and supporting initiatives such as RLabs forms part of the Bertha Centre for Social Innovation and Entrepreneurship's mandate. The Bertha Centre is a specialised unit at UCT's Graduate School of Business, and is the first academic centre in Africa dedicated to advancing social innovation and entrepreneurship. 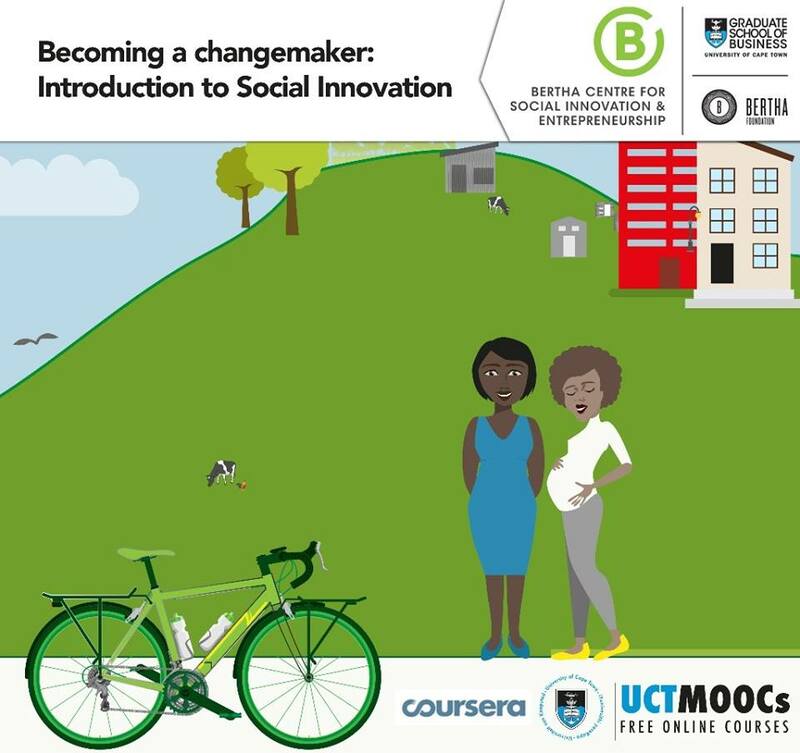 The University of Cape Town (UCT) through UCT’s Centre for Innovation in Learning and Teaching (UCT CILT) will be launching its sixth free Massive Open Online Course (MOOC), Becoming a changemaker: Introduction to Social Innovation. The six week course was co-created between the Bertha Centre and RLabs, and is designed to debunk common assumptions around what resources are needed, as well as to encourage people to begin acting as social innovators and changemakers. Participants will follow the journey of RLabs and other examples of social innovations in Africa and all over the world. They will be challenged to get out of their comfort zones, to start engaging in and with the diverse spaces, people, challenges and opportunities around them.